The Toi Māori Aotearoa Group Annual General Meeting is taking place Saturday 18th of May 2019 commencing at 10.00am in the Matiu Room at Whare Waka Function Centre. If you would like to attend the AGM, please contact rsvp@maoriart.org.nz by this Friday the 10th of May by 5pm. To see the full timetable for the day please download the attached file. MAI Programme 2019 | Calling for Hosts! Māori Arts Internship (MAI) Programme 2019| Calling for Hosts! Toi Māori Aotearoa are thrilled to be running the Māori Arts Internship (MAI) Programme again in 2019. Have a dedicated, senior staff member who can mentor the intern during the course of the intern’s 20 week tenure and oversee the work of the intern. Be a New Zealand based arts and cultural organisation for example festivals, theatre or dance companies, performing arts venues, archives and art galleries (including galleries that are operated by a Tertiary Education Organisation). Schools and education organisations are not eligible to be hosts. Be able to submit a position description which clearly outlines the capabilities that are required for the role and the key tasks and outcomes that are to be achieved when undertaking the role. Be aware of the Health and Safety Act 2015 and must have health and safety policies and procedures within their own organisations. It would be advantageous, if the intern is able to work on a kaupapa Māori event or project during their tenure. A completed Expression of Interest Form which outlines the core requirements to be MAI Programme Host. A position description that outlines the core capabilities, key tasks and outcomes for the intern’s role. Location: Nationwide - New Zealand (*Please note that locations may vary and will be dependent on the Host organisation). *Please note that you will need to ensure that you are available during the interview dates and placement dates. What is the Māori Arts Internship Programme? The programme aims to develop future Māori arts managers, professionals and producers, to support Māori arts infrastructure, and establish pathways for emerging Māori who wish to embark on a career in the arts. We have six internships available for people who are keen to build experience – in the arts area of their choice. We are now inviting applications from suitable NZ based arts organisations to become host organisations for the MAI programme. What is a Host Organisation? Host Organisation – Organisations providing internship opportunities and participating in the scheme are referred to as ‘Host Organisations’ (HO). Intern - A person who is engaged by another person to carry out work or perform any duty or service pursuant to a placement under the Toi Māori Aotearoa, Māori Arts Internship Programme. The individual is deemed not to be an employee of the Host Organisation but will abide by and operate under the Host Organisation normal code of conduct. How long is the placement period for an Intern? The placement period is for a maximum of 20 weeks fulltime or part time equivalent. Does an Intern get paid? Yes, an intern will be contracted with Toi Māori Aotearoa on a fixed term contract basis. The stipend payable is up to a maximum of $15,000 gross which is subject to tax. What type of placement is available? There are six internship placements available for people who are keen to build experience – in the arts area of their choice. What is expected from the intern during the placement? The Host organisation will provide a job description which outlines the Job/Role, key tasks, required from the position and person specifications. How many hours per week does an Intern have to work? The intern will be expected to work a maximum of 37.5 hours per week within their Host Organisation premises. * Minimum of three years continuous experience working in the arts as an artist, producer, or administrator. ​What support is offered to the intern? A mentor will be assigned to each intern for the duration of their placement. The Programme Mentor will have regular contact with each intern. Interns may also contact the Project Mentor as required. A mentor should help the mentee to believe in his or herself and boost their confidence. A mentor should ask questions and challenge, while providing guidance and encouragement. Mentoring allows the mentee to explore new ideas in confidence. Who will be a mentor? We will aim to have mentors from the host organisation you are placed in, so that you feel like there is someone within the organisation that is there to help guide you through your internship. How do I apply to be a Host Organisation? Host organisations need to complete an Expression of Interest Form (EOI) and attach a job description for the intern’s position. The job description will outline the job and person specifications. How are Host Organisations selected? Applicants will be shortlisted (if more than 6 received) and an interview with the programme coordinator will be arranged. Confirmed Host Organisations will need to complete a Letter of Agreement with Toi Māori Aotearoa, which will outline the terms and conditions of the placement prior to it commencing. What are my responsibilities as a Host Organisation? To provide a safe, welcoming and meaningful placement for the intern during the placement period. 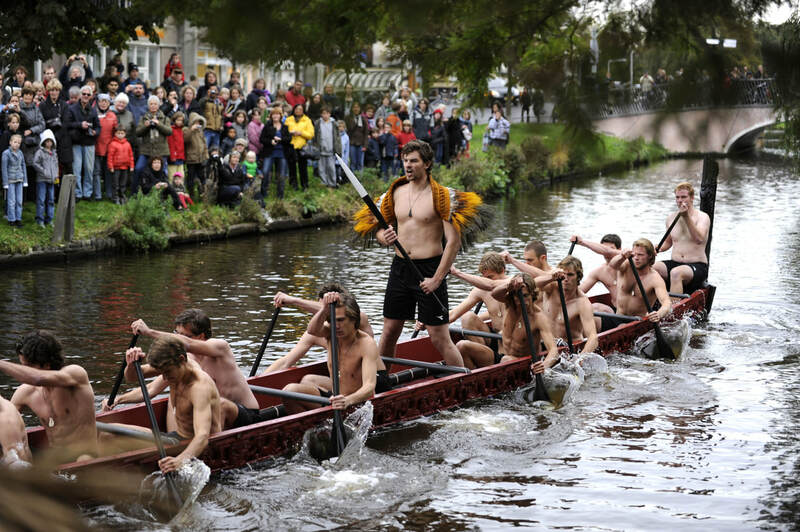 For all other responsibilities refer to the Host organisation information. What if the internship is not working out as I expected? We encourage both the intern and Host Organisation to have open and honest communication between one another. If an issue or dispute arises we encourage you to discuss with one another in the first instance, and notify the programme manager. If the situation cannot be resolved then the placement will be terminated by mutual agreement with all parties. Who are the people behind the Internship Programme? 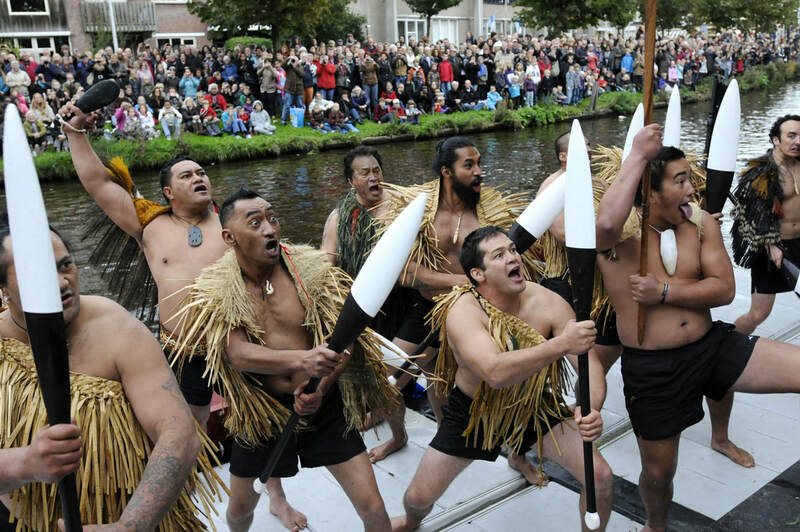 ​The Māori Arts Internship (MAI) Programme is supported and funded by Creative New Zealand. 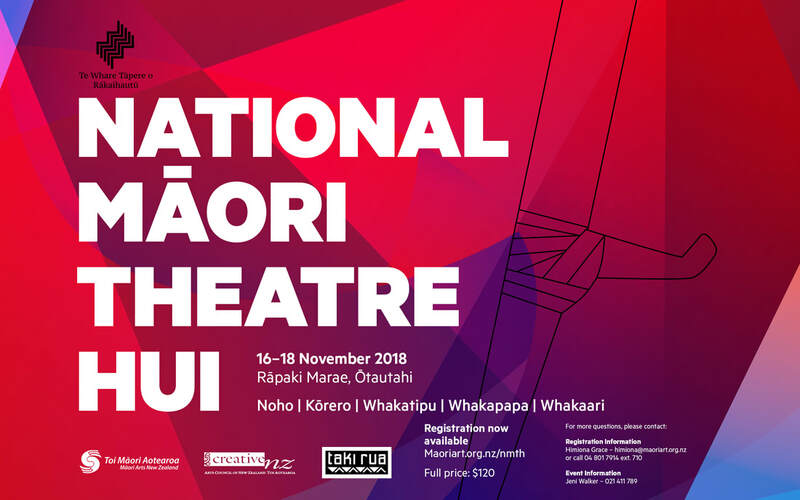 The National Māori Theatre Hui 2018 programme is now available! 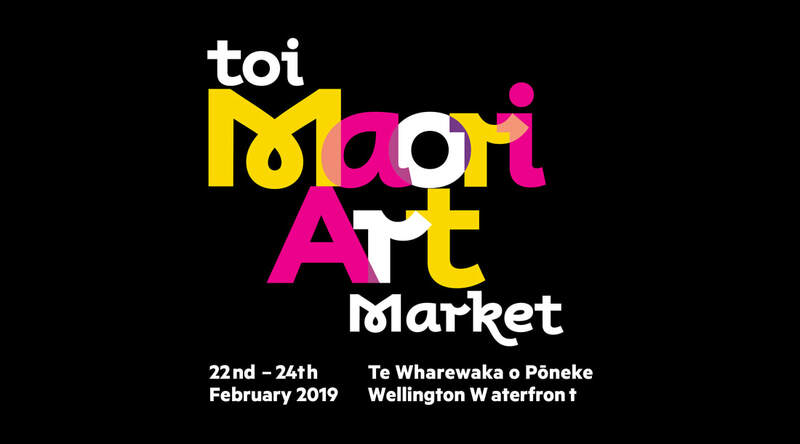 Te Whare Tāpere o Rākaihautū in partnership with Toi Māori Aotearoa. Major funding is provided by Creative New Zealand with support from Taki Rua Productions, Te Puni Kōkiri, Te Pūtahitanga o Te Waipounamu, Te Hapū o Ngāti Wheke and Christchurch City Creative New Zealand Communities. Juanita Hepi, Erina Daniels, Tola Newbery, Tania Gilchrist, Hohepa Waitoa, Kerepeti Paraone, Kylie-Jane Philips and Jeni-Leigh Walker. Nancy Brunning and Dolina Wehipeihana. Himiona Grace, Garry Nicholas, Tamahou Temara, Mayet Regala and Edgardo Tabios. Nau mai, Haere mai ki te Waka o Aoraki, ki te waahi o Rākaihautu. Join us as we share the stories of our marae and our people. Aoraki Matatū - Our hard-case but pretty serious Kaumātua will grace us with their wit, woe and wonderings. Facilitated by the indomitable Whetu Fala, in this intimate session we celebrate the pioneers and hard-working kaumātua of our burgeoning industry. Representatives from around the motu will present a quickfire update on the state of theatre in their rohe. Ko te Reo te Mauri o te Mana Māori. Our language is at a critical point so we are privileged to have Te Reo Māori champion Hohepa Waitoa; Kaitito, Manukura Tāne - Ngā Manu ā Tāne, Kaituhi - He Kura E Huna Ana and Kaiako facillitating this workshop. Designed for all level Te Reo speakers, Hohepa will look at how to bring Māori kōrero to life through the promotion, development and delivery of Te Reo Māori in scriptwriting. A fast paced interactive theatre making session in three phases, Te Takinga - Intro to theatre, Karawhiua - working together, Ngahau - The Showing and an opportunity to perform as part of our Saturday night celebration. Piki Whakaari is the brainchild of Kerepeti Paraone & Savanah (Kāti Wheke). 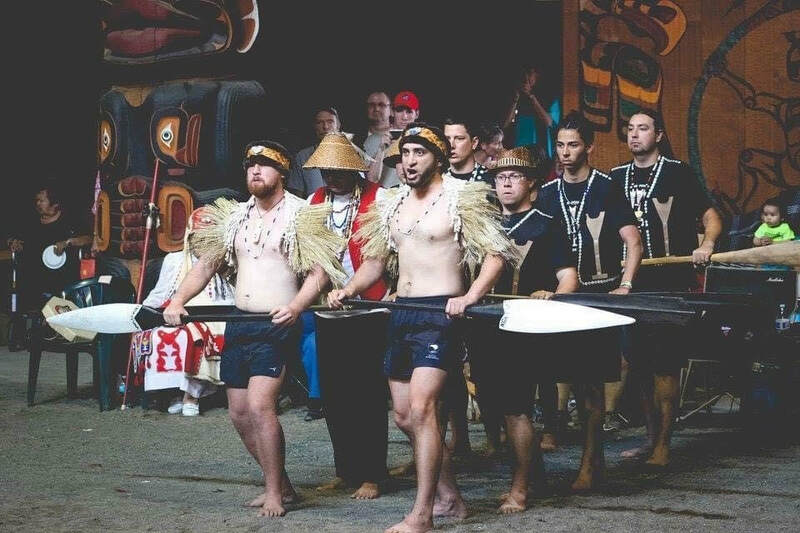 With 25 years kapahaka experience (Te Ahikaaroa Kapa Haka turns 25 this year) and a passion for Māori arts and music, this workshop will have you pulling out some of those kapahaka moves you love, teaming it to some of that māori music you love and weaving the strands of those into a short 2 - 7 minute piece. Learn some skills, gain some knowledge, nekeneke mai!!! This 90 minute introduction to playwriting focuses on fleshing out new ideas, developing new ideas for the stage and learning new tools to help you build your first stage play. New writers will need their ideas, pens, paper or laptops. He aha te mea nui o te ao? He tangata, he tangata, he tangata! We are putting our production creatives on a discussion panel. What is their process? What are their challenges and celebrations? What is their vision for Theatre in Te Ao Māori? Leading Tōtara, Kahikatea and Independent Companies talk about their business strategies for building a more efficient Contemporary Māori Theatre business model. Time set aside for you to ‘just be’ with your friends and whānau, to kōrero, reflect on the days and nights, talk story and enjoy each other before we have our final reflection and poroporoaki then go our own ways. He Waka Eke Noa – an opportunity to consolidate our thinking and work towards a possible shared vision moving forward - ahakoa he wero, he āheinga. 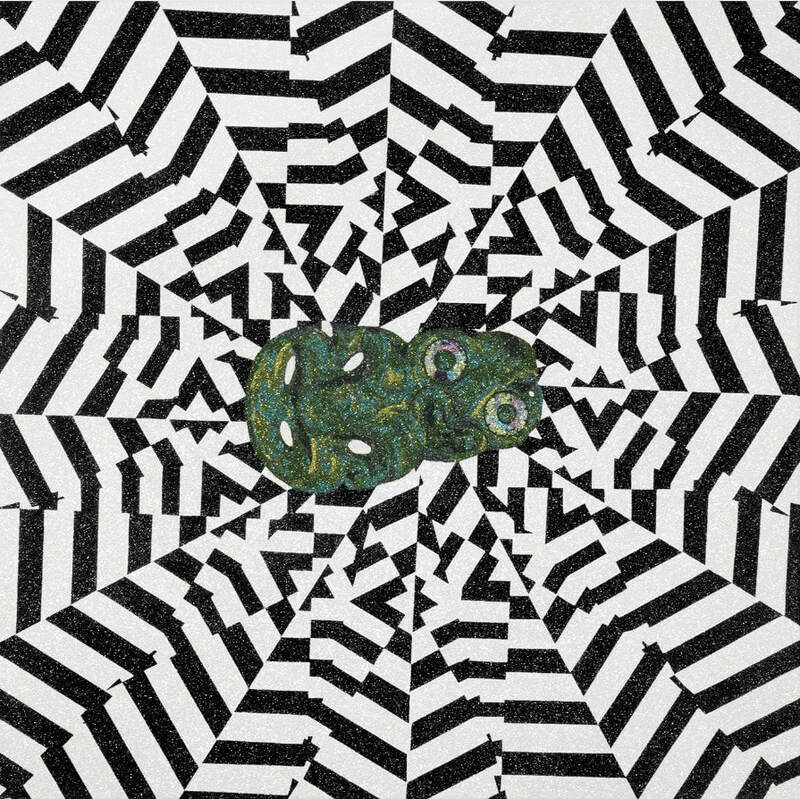 The Awesome Arts Access Auction 2018 include works by Māori artists. The Awesome Arts Access Auction 2018 also includes a great variety of items to bid on from luxury getaway packages to live performances to art, health and beauty items and more. 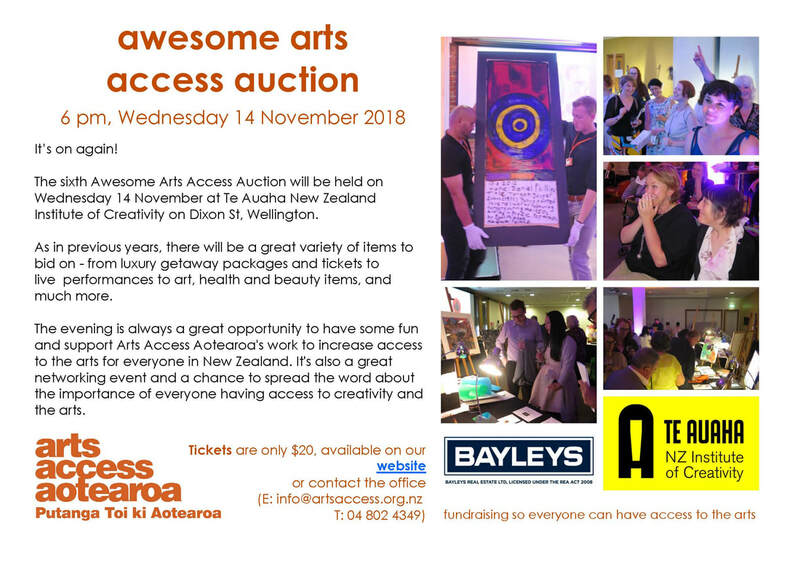 If you are looking for a night of art, creativity, networking and fun, join the Awesome Arts Access Auction 2018. ​The Hoe (paddle) Utilised in the realms of Tangaroa, portrayed with the use of the unaunahi (Fish Scales) and its’ overall flowing motion which are the waves, the tides, the currents. A taonga brought to Aotearoa from distant Hawaiki (Hawaiki Tawhiti) eons ago when the great migration occurred and beyond that. 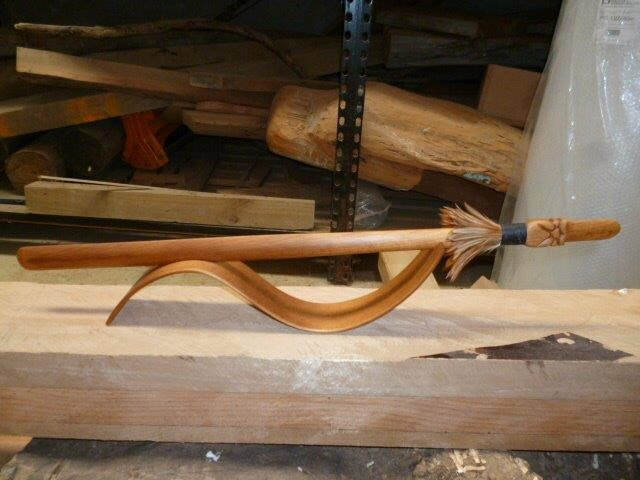 This is what our NRCF Whakairo students instilled into this native timber enhancing its beauty. This was also used as a weapon used by the Kai Hoe (Canoe Paddlers) of our war waka. Likened to using an axe, adequate for defence lethal on attack. The Tewhatewha (long Club) Devastating in the hands of an expert. It is said that the 1st maori king Potatou Te Wherowhero wielded this weapon with such balance and style that he defeated 86 enemy warriors, one after the other when a raiding party turned up for war. 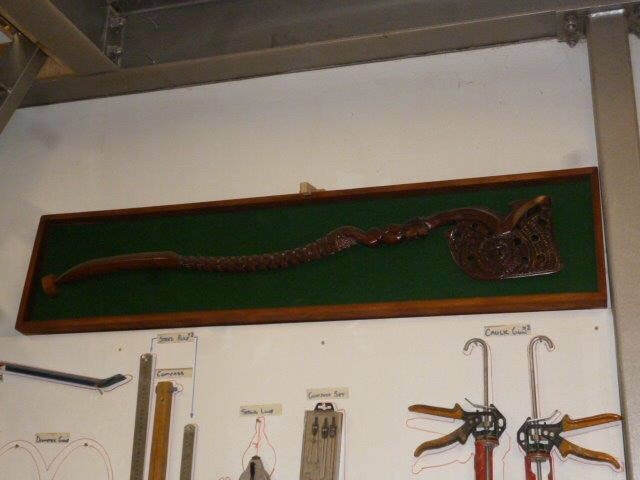 It was a weapon held by Rangatira, especially in war times to guide and direct tactical movements on the battle fields bringing them out of the arms of death back into the world of the living (Ki Te Ao Marama) Carved in a stylised form by our NRCF Whakairo students to represent the spiritual aspect of this taonga. The Taiaha (long staff) A weapon commonly used in open areas. Wielded by an expert it could remove the head of an ox. True balance in the past, the now, and the future. ​More than 30 New Zealand artists have donated significant artworks to an exciting auction, supported by ART+OBJECT, to raise funds towards the creation and development of the Wairau Māori Art Gallery in Whangārei. This unique new Gallery will occupy the ground floor of the extraordinary Hundertwasser Art Centre due to open on the Whangārei waterfront in late 2020. It will become a critical cultural pulse for Māori artists and curators and will provide an artistic hub, education space and showcase for Māori from across Aotearoa to an audience from around the world. Artists with works under the hammer include Shane Cotton, Joe Sheehan, Robert Jahnke, Reuben Paterson, Robert Ellis, Russ Flatt, Lisa Reihana, Sandy Adsett, Star Gossage and Brett Graham. The Wairau Māori Art Gallery has grown from the seed of an idea planted by artist Friedensreich Hundertwasser over 25 years ago. Hundertwasser envisioned an art centre for Whangārei that showcased his own works alongside those of the tangata whenua he admired and respected. 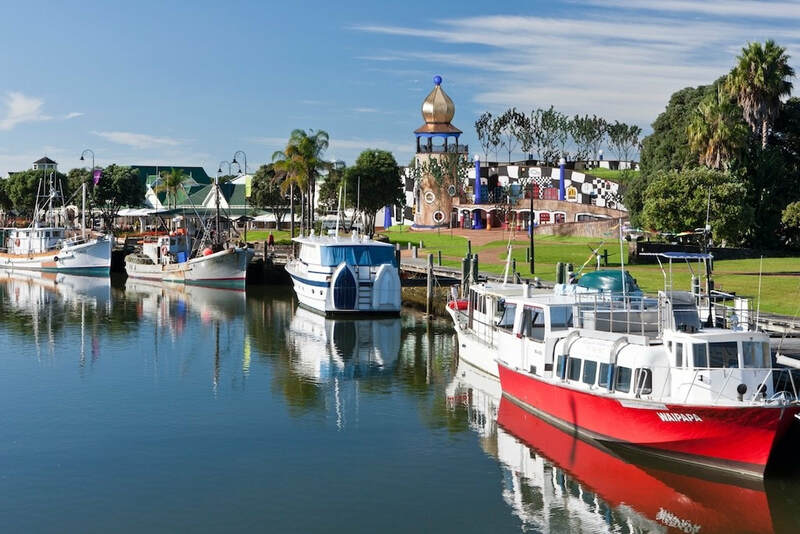 Wairau is a translation of the German word hundertwasser, meaning ‘one hundred waters’. While Hundertwasser buildings can be found in the artist’s home city of Vienna and throughout Europe, as well as in Asia and North America, Whangārei’s art centre will be his only major building in the Southern Hemisphere. There are no remaining unbuilt projects of this scale conceived by the artist and our building will be the last of its kind in the world. The Wairau Māori Art Gallery vision is to enable exemplary exhibitions of contemporary Māori fine art, directly from Māori artists, as well as from the art collections at Auckland Art Gallery Toi o Tamaki, Te Papa Tongarewa in Wellington and the adjacent Whangārei Art Museum. Proceeds from this art auction will be used in the next phase of the gallery’s development and infrastructure support. Please join us! Thank you to the artists and galleries who have so generously supported this event. Sincere thanks also to ART+OBJECT, Kallan MacLeod Photography, Doug Gow Framing, MYART and CityGuard. Special thanks to The Landing Wines, Sawmill Brewery, Otakiri Water and The Great Catering Company for hospitality. SHANE COTTON, Te toi whakairo, ka ihiihi, ka wehiwehi, ka aweawe te ao katoa, 2017, acrylic on paper, 585mm H x 780mm W, Est: $7000 - $10000. August, 2018 - The Waiata Māori Music Awards are kicking off Māori Music Month this August with the announcement of the 2018 awards finalists. Now in its 11th year, the Waiata Māori Music Awards celebrate excellence in Māori music and also aim to acknowledge and honour the keepers, teachers, promoters, creators and performers of Māori music. The Waiata Māori Music Awards’ Ambassadors are some of New Zealand’s most acclaimed Māori singer/songwriters: Maisey Rika, Taisha Tari, Rob Ruha and Tama Waipara championing the Waiata Māori Music Awards kaupapa. This year’s ceremony will be held on the evening of Friday September 14th in Hastings at the Clubs Hastings, Cnr of Victoria & Albert Street, Hastings. Throughout the month of August in the lead-up to the Awards, Waiata Māori Music Awards Trust presents, Māori Music Month with a series of events, including: Maori Musician Mentoring Workshops in schools Nationwide with Finalist, Recipients and Ambassadors of the Waiata Māori Music Awards partnered with the NZ Music Commission, Concerts in Hastings and Brisbane Australia, Emerging Artist on-live Competition which is happening through the month in search for Aotearoas Most Talented Māori emerging artist and the free Māori Music Conference – which will consist of round table discussions and presentation from the National and International music industry and festivals. Recorded and distributed by East Coast Music. Nerang SHS, Beenleigh SHS, workshops and so much more. This is where we give the emerging and established artist the opportunity to take their music career to the next level! This year, the conference will feature Round Table discussions, presentations and one on one meetings. With International and national renowned music industry members. We join with all Māori artists in congratulating the Finalist. We are currently looking for an enthusiastic, organised, lover of Māori art to be the Event and Project Coordinator for Toi Māori 2018-19 events and activities. It is a fixed term full-time position and the role will be based in the Wellington office. Travel will be required where events are located outside Wellington. 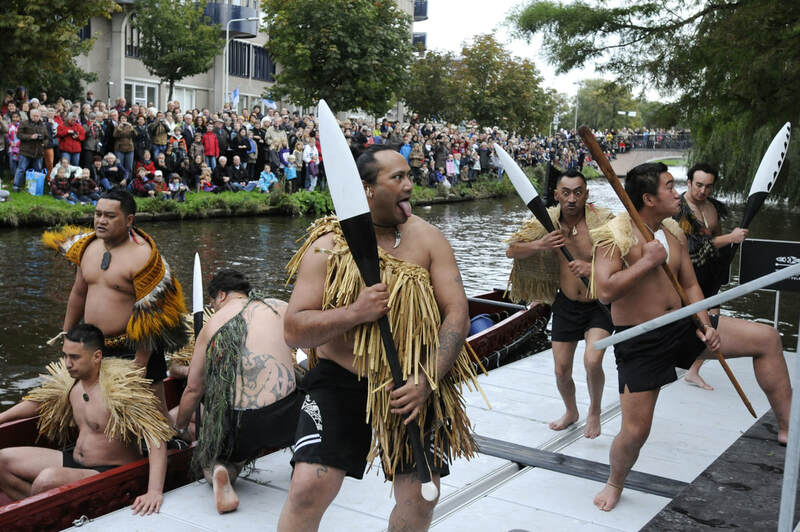 The Coordinator will be responsible for a range of high quality coordination and support to deliver Toi Maori Programme of Activities and Events. This will include communication, budgeting, event administration and development in order to achieve the event goals and objectives. Our ideal person will be self-directed, a problem solver with strong communication skills. A background in Māori art and event organisation is essential. Fluency in Te Reo will be highly advantageous. You can read the full Position Description HERE. If you think that you are the person we are looking for and are willing to start immediately, please email your CV and Cover Letter to Tamahou Temara at tamahou@maoriart.org.nz. If you have any questions, please feel free to contact Tamahou at tamahou@maoriart.org.nz or 04 801 7914 ext. 705. Applications are due by 5pm, Monday, 16 July 2018.